Rihanna’s upcoming Reggae album could feature Jamaican superstar Buju Banton as anticipated by fans! Will Rihanna’s upcoming Reggae album feature Buju Banton? Almost certainly, yes! Last year, the “Work” hitmaker registered a new single titled “Phatty,” in which the Jamaican superstar, whose real name is Mark Anthony Myrie was credited as a writer. The pop singer was then photographed in New York heading to a recording studio wearing a t-shirt with Reggae star’s face on. Online users have since expressed great enthusiasm for the collaborative track by the pair. Sources close to Rihanna told Hype Life Magazine that the “Diamonds” singer has always been a huge fan of Buju Banton and will most likely be sampling the singer’s 1995 hit for her new Reggae album, which is slated to be released later this year. Another source indicated that she was interested in getting fresh vocals from his team. Buju Banton, who was sentenced to 10 years for drug related charges, is set to be released on December 8. Whilst no official collaborations have been announced, fans believe there is a strong possibility that artists Rihanna collaborated with on other projects in 2017 may well appear on her ninth album. Last year Rihanna worked with DJ Khaled and Bryson Tiller on “Wild Thoughts” as well as with Calvin Harris on “This Is What You Came For,” Future with their project Selfish, Pharell on Lemon and Kendrick Lamar on LOYALTY. Anti, the 30-year-old singer’s eighth studio album, was released in 2016 and was placed at number 32 in the UK end of year charts and five in the 2016 US Billboard 200. Following his historic performance at the National Stadium on Saturday night, reggae artiste Buju Banton is ready to take his extensive catalogue to Montego Bay. Reggae Sumfest has secured Buju along with Beres Hammond and Chronixx for this year’s festival. “The greatest reggae show on earth” will also feature The Voice UK winner Dalton Harris. Other performers set to grace the stage are Protoje, Tarrus Riley, Jah9, Chris Martin, Spragga Benz, Elephant Man, Dexta Daps, Spice, Govana, Munga Honorable and Montego Bay’s own Squash. Reggae Sumfest 2019 runs from July 14 to 20. 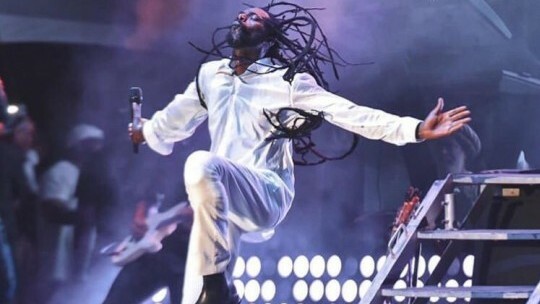 For those who missed Buju Banton’s performance at the National Stadium last Saturday, the chance to see the Gargamel in his element will roll around again this summer at Reggae Sumfest 2019. The Sumfest team made the revelation on Sunday morning after the Long Walk to Freedom concert wrapped up inside the National Stadium. ‘Sumfest to B.B.C.’ (referring to Buju, Beres Hammond and Chronixx), made the rounds on social media and in print, as the show’s organisers revealed the artistes set to headline the big nights of this year’s festival. In an interview with THE STAR, CEO of Downsound Entertainment and chief organiser of Reggae Sumfest, Joe Bogdanovich, revealed that talks between Buju and his team began last December when he was released from prison. Bogdanovich would not reveal how deep he had to dig in his pockets to ensure the Gargamel would grace the Sumfest stage, but says he is certain it will be money well spent. He also spoke about Hammond and Chronixx, the other two headliners. Bogdanovich added that although the headline acts announced are crowd pullers, the entire Sumfest line-up will be enticing. He explained that as the show date draws closer, he will have several surprise announcements. © 2018 Reggae Sumfest Festival. A Downsound Entertainment Production. All rights reserved. Site by Melodic Art and Sepp D.